Fidel Agu, Abuja: The National Orientation Agency (NOA) is to collaborate with the Independent Corrupt Practices and Other Related Matters Commission (ICPC) to mount a national campaign against corruption and other unwholesome behaviours aimed at salvaging the battered local and international image of Nigeria. Director General of NOA, Garba Abari made this known when he paid a working visit to the headquarters of the ICPC in Abuja. Abari said the visit was a continuation of the cooperation that has existed between the two organisations which has added value to the mandate of the Agency, noting that “As a nation, behavioural and attitudinal change remains the option we need to inculcate values that will help curb corruption and other unwholesome behaviours that will make the country great”. He said corruption remains the bane of national development and the two Agencies must forge a formidable alliance in the fight against corruption, adding that corruption is corrosive and has afflicted all citizens in all spheres of our daily lives. The DG NOA stressed that with its population structure, the country has the demographic advantage to harness its natural resources to its advantage rather than the get-rich-easy syndrome of today’s youths. Abari noted that the youth, which form 60% of the country’s population, are exposed to various negative values on the social media which rub them of the national core values. 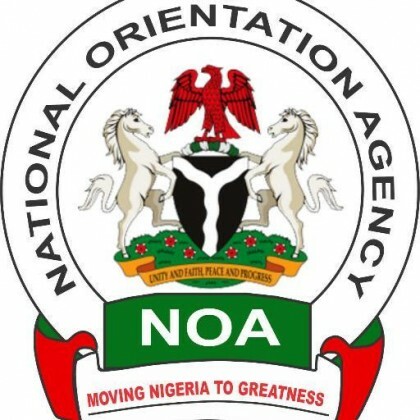 He reiterated government’s commitment to using NOA’s robust platforms to inculcate catch national core values in the young ones and discourage alien and corrupt practices in society. In his remarks, the Chairman, ICPC, Barrister Ekpo Nta said corruption prevention has remained the strategy of the Commission over time and has strengthened its enlightenment campaign across the country. He urged NOA to extend its sensitization campaign to embassies in the country as well as intending travelers on issues of rules and regulations affecting visitors to ensure that Nigerians do not inadvertently engage in unacceptable practices when they visit other countries of the world. The Chairman urged the youth to stop the patronage of jobs racketeers and take advantage of the present administration’s effort in job creation initiatives through the Central Bank of Nigeria to gain meaningful livelihood.